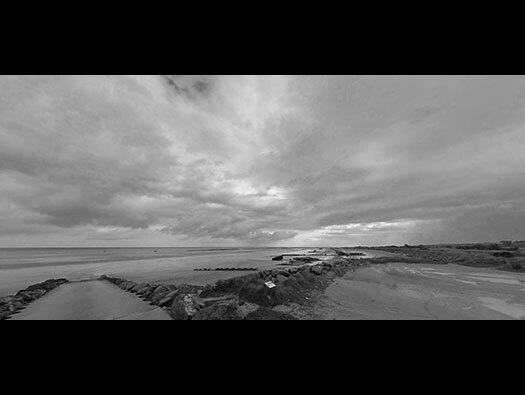 Wn36 Asnelles - Roseau Plage, K.V.U Gruppe Courseulles. 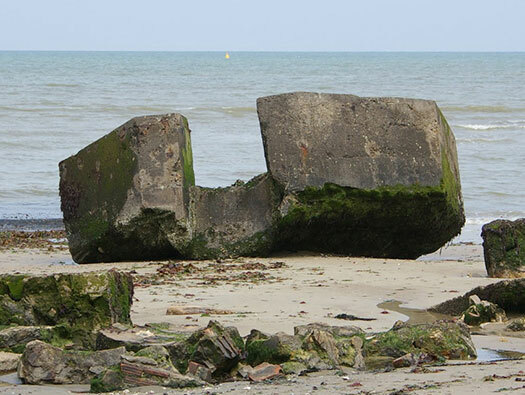 This Wn just happened to be in the way of the 1st Battalion of the Hampshire Regiment on D-Day. 3./Ost Bt. (ukr) (Static Infantry Division). 1 - Ringstand for a 5cm KwK. 1 x 5cm KwK 39 L/42 Pak gun. 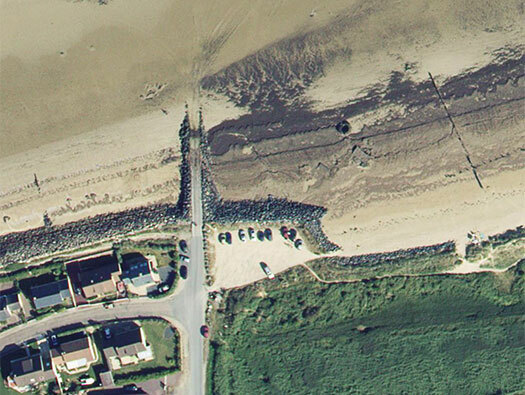 Wn36 Asnelles - Roseau Plage. A very small Wn with just two machine guns and a 5cm anti-tank gun. Wn 36 one A/T gun and two machine guns..
Wn 36 covers a gap where a landing could be made to the right of Wn38 and marsh land that would make landings very difficult. 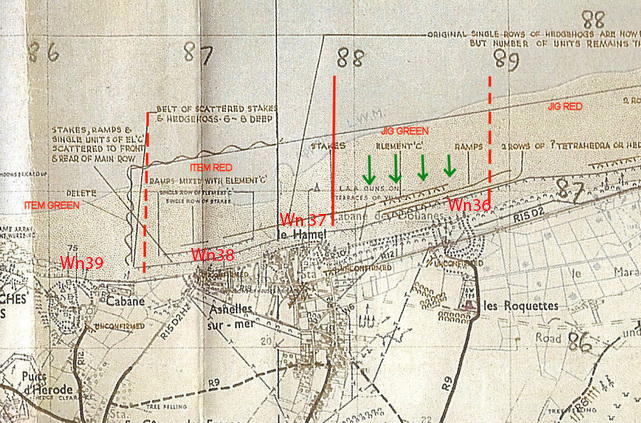 A mine field covered the gap between Wn's 36 & 37 and another behind Wn36 MF75. Laying mines on the beach. Twin machine gun emplacement and the ringstand. 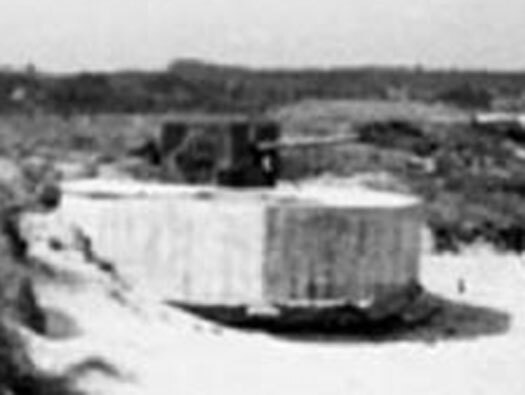 A small munitions bunker and two Abri Feldmässig (small concrete crew bunkers). The ringstand is still in place, a very damaged munitions bunker and Feldmässig behind but the machine gun emplacement has been removed. 5cm KwK L42 and crew. A plan of the Nr.1694 ringstand used here. The 5cm KwK 39 L/42. 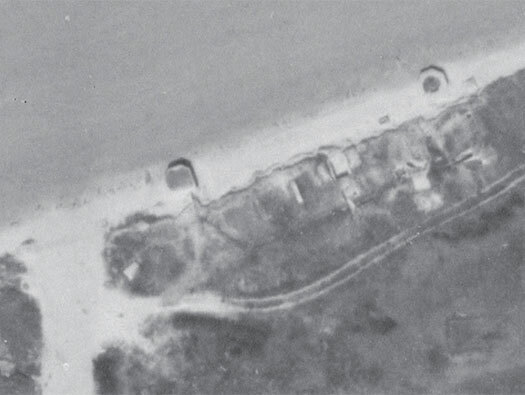 USAAF bombers started to bomb the beaches but actually missed and most bombs landed inland. 147th (Essex Yeomanry) Regiment, RHA with Sextant 25 Pounder self propelled guns started firing on the run in on their LCT's. Wn36 was smothered but Wn37 was left completely alone. A crew of around three or four men with ready ammunition set around the inside wall and a small Vf crew/ammunition bunker behind it. Ringstand November 2016 with the tide coming in. Possibly for the two machine guns. Plan of how it may have been. This may be the M.G. pill box??. 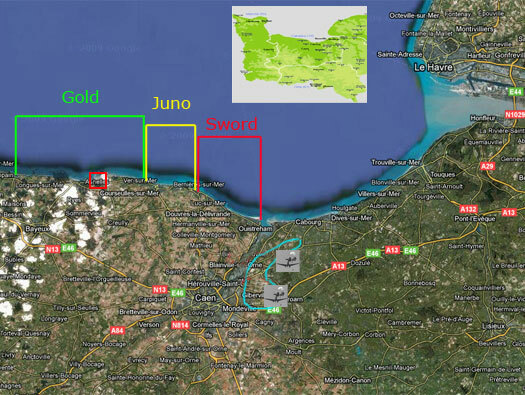 This is the Bigot map for this section of Gold Beach. This plan shows where nearly all the defences were. Bigot was the code word for anybody let into the secret of D-Day, starting with the planners, senior officers and then spreading out to a lot of officers of units about to land on D-Day. Maj. Wheeler a D-Day planner and a Bigot. The plan of where the 50th Div. would land. Although it was the British 50th (Northumbrian) Infantry Division it also included Battalions from the Devonshire, Hampshire, Dorsetshire, and East Yorkshire Regiments. This area was assigned to the 231st Brigade the Hants & Dorsets. 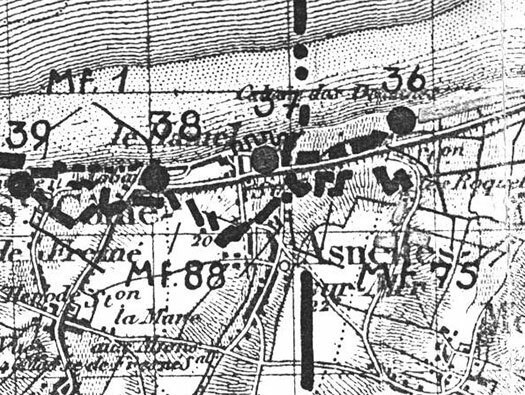 H-Hour was 07.25 hrs and by 10.00 hrs La Rivière was captured and moving inland. 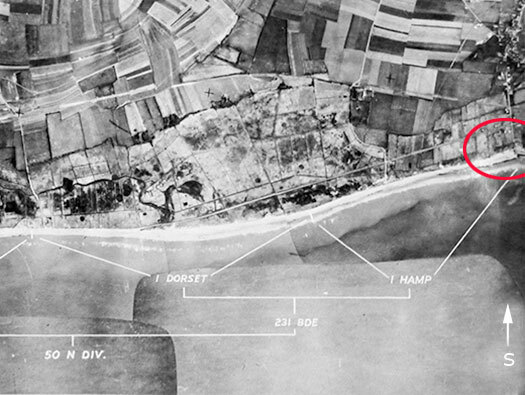 Le Hamel was in British hands by mid-afternoon. 50th (Northumbrian) Infantry Division badge. Tyne Tees. The 1st Hampshires landing around the twin machine gun post at Wn36. 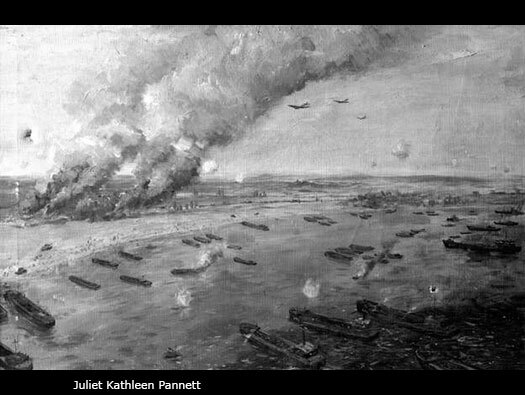 H-Hour was set for 07.25 hours, 50 minutes later than in the American sector to allow for the difference in the tide, this meant that high water was later in the British sector. The 1st Battalion of the Hampshire Regiment lost its Commanding Officer and Second-in-Command within minutes of landing. 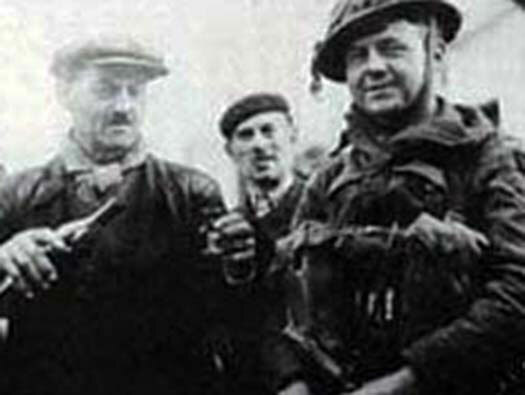 Following up behind the 1st Hampshires were the Commandos of the 4th Special Service Brigade. 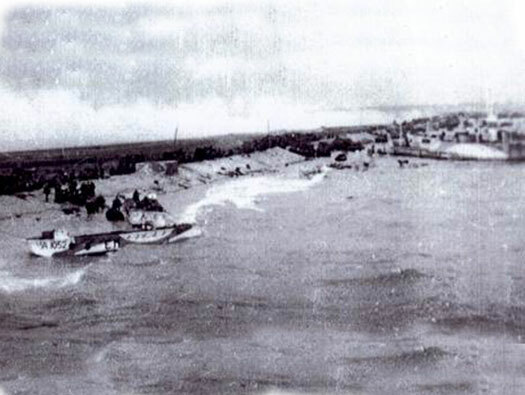 They too suffered badly during the run in and only one of their allotted landing craft actually reached the shore. 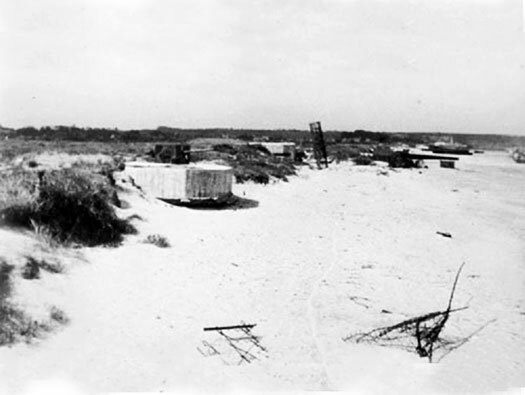 The decision to land the tanks directly on to the beach however proved to be the saving grace as there was no German armour in the area. 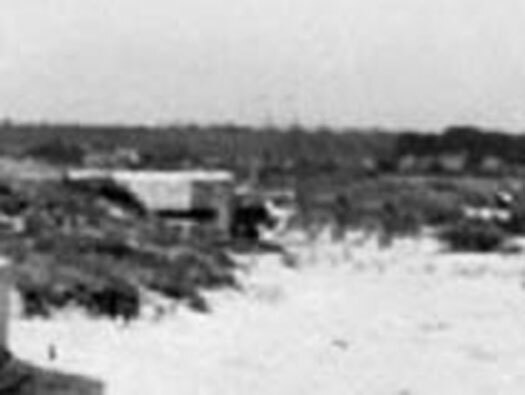 Once ashore the tanks provided close support to the infantry and most of the initial German resistance was quickly overcome. Soldiers disembarking from an LCI. Eastern troops of the 352nd Division. 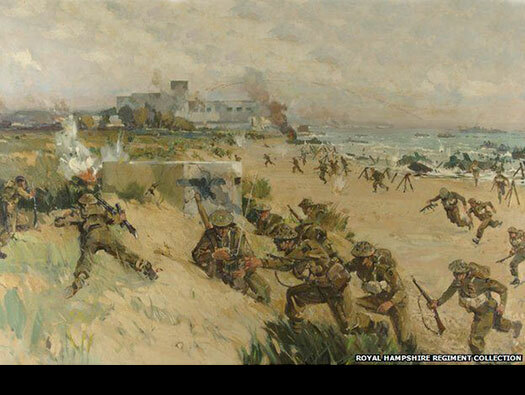 Another painting of the 1 Dorsets running in to the beach. 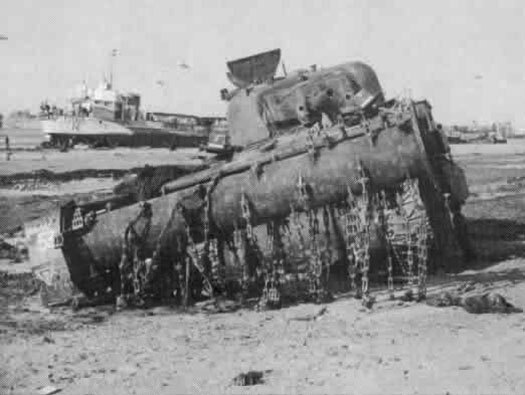 Detritus on the beach, Sherman Flail Tank. Sherman Flail Tank possibly one that was hit by the 88cm anti tank gun at Wn37 which was inside the R669 casemate. More infantry arriving possibly Royal Marines in Fairmile LSI's.